AUSTIN, Texas — Move over, Las Vegas. The Republican Party will host its 2020 presidential nominating convention in Charlotte, North Carolina. The Republican National Committee finalized its convention site on Friday, picking an East Coast swing state over Las Vegas, the only other finalist. The vote came as hundreds of Republican activists gathered in Texas for the RNC’s summer meeting. The pick ensures that tens of thousands of political activists, protesters and journalists will crowd into Charlotte in the summer of 2020. The same city hosted the Democratic national convention in 2012. 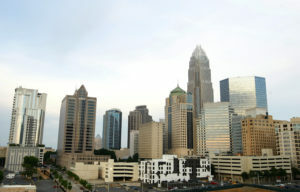 Earlier in the week, a divided Charlotte City Council narrowly approved a bid to welcome the convention. Mayor Vi Lyles, Charlotte’s first black female mayor, emphasized the vote to approve the bid isn’t an endorsement of President Donald Trump.